If there is one thing that new public relations professionals and college students know well, it is coffee. Coffee is the fuel that helps us wake up and power through our busy days of social media managing, press release writing and event planning. It is rare to find a public relations person without their favorite cup of joe in hand. In fact, public relations and marketing people love coffee so much, they have been ranked as the second most caffeinated group of professionals, according to a study done by CareerBuilder and Dunkin’ Donuts. Another thing that new public relations professionals know very well is networking. As students, we are always told to “Network, network, network.” For some, networking comes naturally, while others shudder at the word. Those who fear networking often associate it with something that is meant for conferences and panels. Networking at conferences can sometimes feel rushed, pressured and nerve-wracking. Many have memories of awkward conversations after conference breakout sessions or events. But what would happen if new public relations professionals combined the two things we know so well? Some of the best networking happens during coffee dates. Networking is meant to be authentic, personable and memorable. Coffee dates can provide the intimacy needed to build a lasting relationship. Coffee shops have an energy that can’t be matched. They each have their own character and personality, from the music and the people around you, to the décor and, of course, the caffeinated beverages. 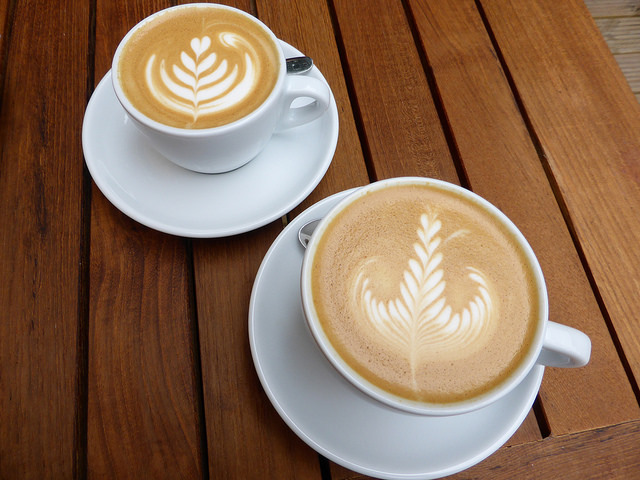 Coffee shops can transform our moods and enhance our connections with others. By setting up a coffee date to network, you and your contact are not limited to a tight time constraint. The ability to sit, relax and enjoy a beverage allows for more genuine conversations to be had. Even if it is only half an hour, you can take the conversation at a comfortable pace and be more yourself. The ability to be in a more energetic environment also allows for more personable, creative and beneficial conversations. In a coffee shop, you can learn more about your contact and bond over common interests. The strongest connections are between those who share more than just a common career field. The positive benefits of networking inside a coffee shop have not just been discovered by way of trend; it is scientific. According to a study done by the University of Illinois, coffee shops have a noise level that is perfect for creativity to blossom. The average, local coffee shop has a noise level of about 70 decibels, the perfect level for creative thoughts and conversations. Coffee shops exist to keep us caffeinated, but also to help us connect with others. As creative and positive public relations professionals, we thrive in energetic environments and love to make great connections. So email that professional you met briefly at that workshop, invite them for coffee at your favorite local coffee shop and let your connection bloom. You never know where that conversation may take you. Anna Schuttenhelm is a senior majoring in arts management at the University of Wisconsin-Stevens Point. She is co-vice president for the UWSP PRSSA Chapter, online editor for The Pointer and events and promotions coordinator for the UWSP Basement Brewhaus. Follow her on Twitter @a_schuttenhelm and connect with her on LinkedIn. Interesting info on decibel levels. Design and location are important too, but you’re right, there’s nothing quite like a coffee shop space for meeting and networking.